Les Illusions du Progrès (1908); Translated as The Illusions of Progress by John and Charlotte Stanley with a foreword by Robert A. Nisbet and an introduction by John Stanley (University of California Press, 1969, আইএসবিএন ০-৫২০-০২২৫৬-৪). Réflexions sur la Violence (1908); translated as Reflections on Violence first authorised translation by T. E. Hulme (B. W. Huebsch, 1914; P. Smith, 1941; AMS Press, 1975, আইএসবিএন ০-৪০৪-৫৬১৬৫-৯); in an unabridged republication with an introduction by Edward A. Shils, translated by T. E. Hulme and J. Roth (The Free Press, 1950; Dover Publications, 2004, আইএসবিএন ০-৪৮৬-৪৩৭০৭-৮, pbk. ); edited by Jeremy Jennings (Cambridge University Press, 1999, আইএসবিএন ০-৫২১-৫৫১১৭-X, hb). From Georges Sorel: Essays in Socialism and Philosophy edited with an introduction by John L. Stanley, translated by John and Charlotte Stanley (Oxford University Press, 1976, আইএসবিএন ০-১৯-৫০১৭১৫-৩; Transaction Books, 1987, আইএসবিএন ০-৮৮৭৩৮-৬৫৪-৭, pbk.). From Georges Sorel: Volume 2, Hermeneutics and the Sciences edited by John L. Stanley, translated by John and Charlotte Stanley (Transaction Publishers, 1990, আইএসবিএন ০-৮৮৭৩৮-৩০৪-১). Commitment and Change: Georges Sorel and the idea of revolution essay and translations by Richard Vernon (University of Toronto Press, 1978, আইএসবিএন ০-৮০২০-৫৪০০-৫). Social Foundations of Contemporary Economics translated with an introduction by John L. Stanley from Insegnamenti Sociali dell'Economia Contemporanea (Transaction Books, 1984, আইএসবিএন ০-৮৭৮৫৫-৪৮২-৩, cloth). ↑ MacDonald, J. Ramsay (1912). "The Philosophy of Sorel." In Syndicalism: A Critical Examination, Chap. III, Constable & Co., Ltd.
↑ Guy-Grand, Georges (1911). "M. Georges Sorel et le 'Matérialisme Historique'." In La Philosophie Syndicaliste. Paris, Bernard Grasset. ↑ Lewis, Arthur D. (1912). 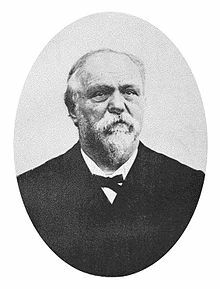 "Monsieur Georges Sorel and his Ideas." In Syndicalism and the General Strike. London, T. Fisher Unwin.